Contrary to the theory of rational choice, adding an alternative to a set of available options often affects people's judgement of the preexisting options. Here, we show that honeybees (Apis mellifera) and gray jays (Perisoreus canadensis) are also influenced by the addition of an option to a choice set (i.e., by a change in local context). Like humans, our subjects violated basic properties of rational choice. Their relative preference between two original options changed with the introduction of a third, relatively unattractive option. Such context-dependent choice violates the constant-ratio rule. Our subjects increased their relative preference for the more similar of two alternatives, contrary to the similarity hypothesis. The jays also increased their absolute preference for the more similar of two alternatives, in violation of regularity. Thus, the principle of irrelevant alternatives, which assumes that preference between options does not depend on the presence or absence of other options, is violated not only by humans, but also by an invertebrate and a nonhuman vertebrate. 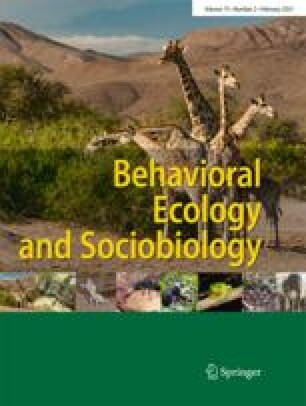 These findings contradict the view that nonhuman animals should be immune to such psychological effects and that they should conform with normative accounts, such as rationality or optimal-foraging theory, because their decision-making processes are evolutionarily adaptive. We discuss the potential generality of context-dependent effects and suggest that such effects should be incorporated into decision-making models in behavioral ecology.